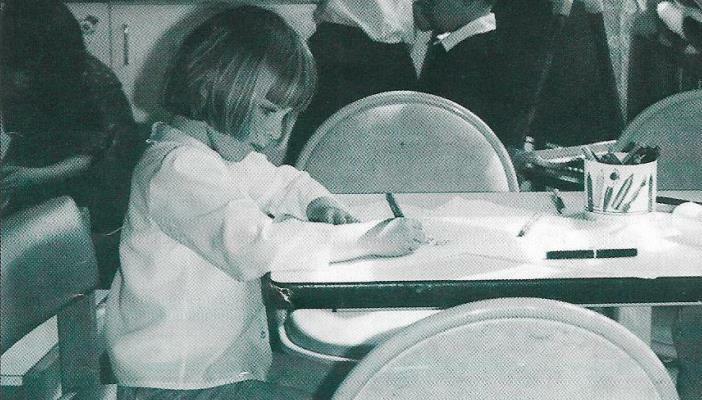 First published by Nystagmus Network in the 90’s, these extracts from a child’s diary detail of a young girl's experiences with vision impairment. Although a lot of things have changed since, her thoughts about nystagmus are probably still just as valid today as they were back then. I had to swap seats with Emma today and go and work on a different table. This meant I had my back to the whiteboard, but we were doing project work so that didn’t matter too much. The only thing was that Caroline and Katie kept looking at my eyes and giggling. Then Katie said I looked like an alien. This made me very upset, but I didn’t say anything. When we got home from school, my brother asked if we could have some sweets. Mum said no. We could have some fruit today and sweets on Friday. Then I threw my book bag on the floor and really started screaming. Mum told me to calm down, but I couldn’t calm down. Mum said I wouldn’t get any sweets on Friday either. But I don’t care about the sweets. I just wish I didn’t have alien eyes. We went to see Mr Calver today. He’s my eye doctor and very clever. He can’t make my eyes better, but he’s always very pleased with how much I can see. I like Mr Calver. He’s quite funny and keeps a big ladybird on his desk. The train ride up to London was great. We waved to our house on the way. Mum had to tell me when to wave, because the train was going very fast and I couldn’t really see the house. After my appointment we went to Hamleys to get some ideas for Christmas. Near the Lego I got lost. Mum just disappeared. I looked around for a lady with brown hair, but all the ladies seemed to have brown hair! Then I heard mum calling me, but I couldn’t see where she was and her voice kept moving around. Suddenly she was there again and we both started crying. It was really scary getting lost. A nice lady [qualified teacher of children with vision impairment] came to see us today. We gave her some cake. Then she asked me a lot of questions about school. I used to love school in the infants, but now I’m in the juniors I don’t like it so much. Mr Parker writes really small on the whiteboard so he doesn’t have to keep rubbing it off. He says I can go up and look at it if I want to, but then he tells people off for wandering round the classroom. Helen lets me copy off her. She’s really clever. Sometimes we have to share a textbook and I’m really lucky because Helen copies it out really quickly and then lets me have the book right in front of me so I can see it. I rush to get the work finished while everyone else goes on to the next thing. I wish I could have my own textbook and didn’t have to share. Then I wouldn’t have to write so quickly. Someone threw a basketball at me today in PE, but I didn’t see it coming. It hit me right on the nose and it really hurt. I wasn’t crying, but started to walk away and then two girls from the other class came and kept asking me questions. Was I crying? Where did the ball hit me? Did I get hurt? It felt like I was being interviewed and then I was crying and I didn’t even want to. I went into the toilets to put a wet paper towel on my nose to stop it hurting. I stayed in there for ages so that no one could ask me any more stupid questions. I hate PE. Mum took me to a charity shop today. She was looking at the china and I looked at the toys. Then I spotted a Puppy Hotel with loads of extra puppies inside it. The label on it said £1 so I asked mum if I could buy it. She said yes and well done for finding it. I said it’s because of my nystagmus. My eyes are darting around all the time which means that I can spot things that other people don’t! Sometimes I’m really glad I’ve got nystagmus! Nystagmus Network has been providing support and information about nystagmus for over thirty years. The charity supports families affected by the condition and has been at the forefront in funding the research to find effective treatments.